Pittsburgh is a large city in Western Pennsylvania, with a metropolitan population of over two million people. This vibrant community is an epicenter of economic and cultural activity. From world-famous museums to celebrated eateries, shopping destinations, and professional sports venues, there is something for everyone to enjoy in Pittsburgh. Once a powerhouse of American manufacturing, today much of Pittsburgh's local economy revolves around technology, healthcare, and finance. Pittsburgh is a diverse destination, with 90 different neighborhoods scattered across the city. From the hustle and bustle of the Golden Triangle to the rich history of the North Side, Pittsburgh continues to grow and evolve. The city has long welcomed immigrants from across the globe, and many neighborhoods reflect the identities of the area's earliest arrivals. Of course, Pittsburgh has no shortage of landmarks and lauded institutions. Notable examples include the Pittsburgh Zoo, the Carnegie Museum of Art, and PNC Park, home to the Pittsburgh Pirates. The University of Pennsylvania's 132-acre campus also stretches across Oakland, with the Heinz Memorial Chapel and the Cathedral of Learning serving as two of the school's more recognizable architectural features. Pittsburgh has received numerous awards for the high quality of life it offers residents. The Economist has repeatedly recognized the city as one of the most livable in the nation. 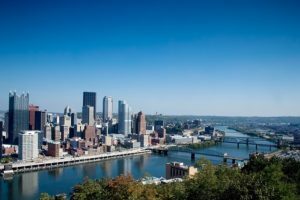 With thousands of local students, many working families, and a sizeable population of senior citizens, Pittsburgh continues to welcome new residents every year. Naturally, residents need housing, and Pittsburgh rental homes provide a great option. Investing in local real estate can be a financially sound decision, but it's important for homeowners to identify how to maximize the return on their investments. Whether you own a local home or you're considering expanding your portfolio, consider working with a professional property management team. GPRES has a long track record of success partnering with local property owners. Our team understands the ups and downs of the market, and we focus our attention on helping our clients meet their financial goals. By entrusting your home to GPRES, you'll never worry about your rental home again. We find qualified tenants, keep on top of maintenance requests, and handle all billing for the property. We also make it easy to stay in the loop, with monthly statements and online account portals that provide a snapshot of recent performance with just a few clicks.